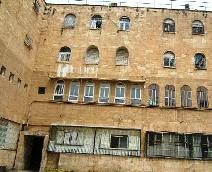 Otzar Haposkim was established nearly 70 years ago by Rav Isser Zalman Meltzer zt”l. 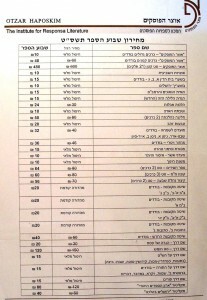 Rav Isser Zalman zt”l was the father-in-law of R’ Aaron Kotler zt”l and the Rebbe of Rav Shach zt’l. Otzar Haposkim was envisioned as a world center for collecting, cataloging and disseminating Halachic Responsa. Otzar Haposkim flourished under his leadership and became a center of Torah. 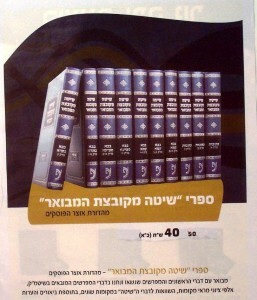 With the release of Otzar Haposkim’s Responsa Treasury, it can be said that the dream of its founder Rav Isser Zalman zt”l has been realized. Today you can enjoy the fruits of their labor. For over 50 years Otzar Haposkim’s staff of Torah Scholars labored to research, catalog and organize nearly one million Halachic Questions & Answers and through their new software program you can access that information in mere seconds. 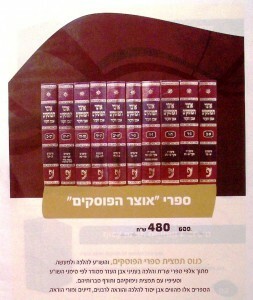 If you love Seforim… specifically Judaic Responsa texts, then you will absolutely want this massive collection. Otzar HaShoot is extremely user-friendly, easy to install and easy to use. Consider this… with Otzar HaShoot you will have access at you fingertips to one of the largest collection of Judaic Books ever assembled for computer use and because it is computerized, you can search centuries of scholarship & wisdom in less time than it takes to open a book to the right page! Another feature your Otzar HaShoot Library is it’s rare and out of print editions that until now were found only in a handful of Libraries and Museums. 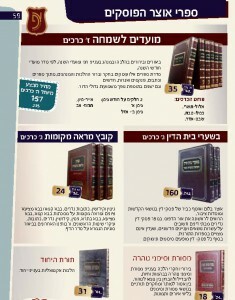 These “re-discovered” Seforim will open a whole new world of Torah scholarship for you. Because the developers kept the Seforim in their original format, you can view Original Hebrew Text… in their authentic format when available. But with Otzar HaShoot more than just reading can be done… Searching – Hypertexting and the ability to take your own notes and link them to Sefer of your choice. These tools permit you to access and use this library in ways that were never available before… And when you finish your research and find exactly what you need, you can print any available page in full, or select any portion of a page and paste it into your wordprocessor as an image or text when available. What could be nicer than that? 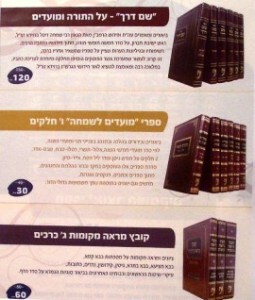 It is truly amazing… it is a breakthrough product… Otzar HaPoskim’s technology permits everyone to own a massive MEGA TORAH LIBRARY for a fraction of the price conventional Seforim cost, and have it all in the space of less than 10 inches!